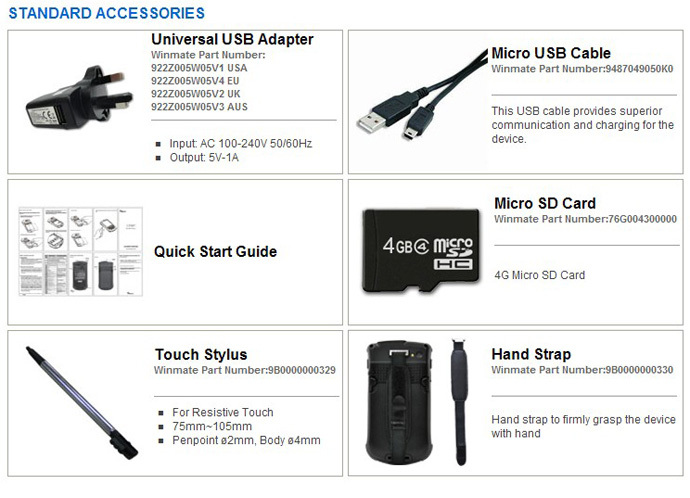 Winmate have paid attention to the latest phone fashion trends — we make sleek, super-modern multi-touch handhelds, for our E430 series. At some point, we believe there is still room for a good-old-fashioned Pocket PC with a keypad and a stylus, one that is does not break easily, and has a real keypad with real individual keys. 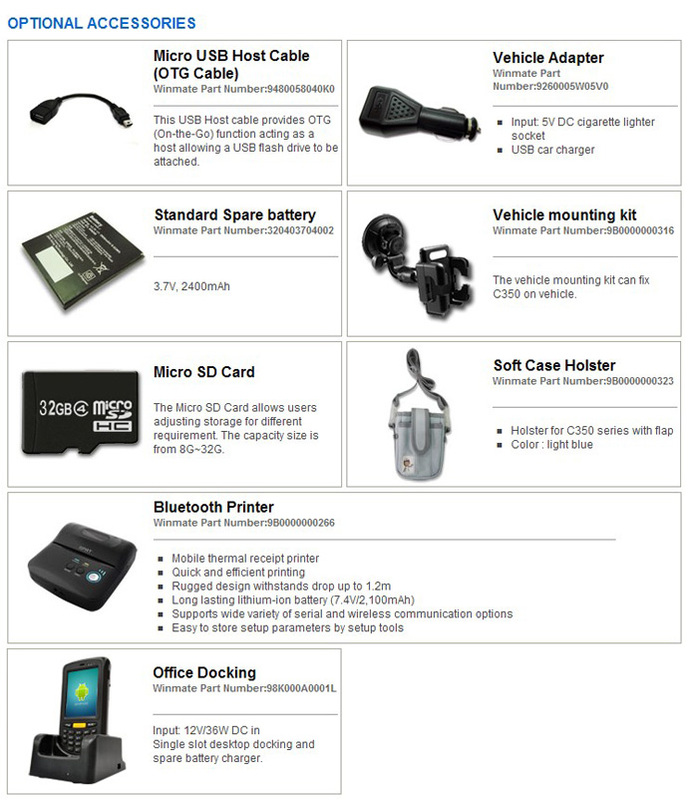 Winmate introduces C350T, rugged 3.5-inch industrial PDA that runs Windows CE 6.0 as default OS since most industrial and vertical market mobile handheld computer deployments are Microsoft based. Android as OS is also optionally available. There's a 3.5-inch transflective screen with a resistive digitizer that's best operated with the supplied stylus. That's for better display protection, but it again emphasizes stylus rather than touch operation and suitable for users with gloves. The processor is an unspecified TI Cortex A8 chip running at 1GHz, and storage is 256MB RAM/512MB Flash, expandable via micro-SD card. It does include modern tech such as a 5-megapixel camera, speedy 802.11n WiFi, integrated GPS, and optional 3.5G mobile broadband. 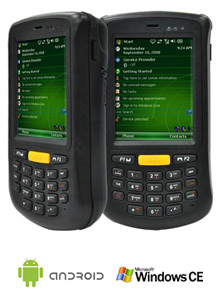 And unlike any consumer Smartphone, this Winmate handheld can be ordered with an integrated 1D/2D scanner and even RFID. As its sturdy looks imply, the Winmate C350T is quite rugged. It can handle 4-foot drops to concrete (and from the looks of it likely more), it can handle a fairly wide operating temperature range of -10 to 50 degrees Celsius, it carries IP54 sealing, which means it's completely impervious to dust and can handle water jets from all directions. The LED backlight is strong (440 nits) and should offer good view ability indoors and outdoors. So while at first sight the Winmate C350T looks like a throwback to the earlier era of Pocket PCs, it's really an intelligently designed device that values function over form. The large physical keypad allows for rapid data entry in the field, the tough industrial plastic case and recessed display offer excellent protection, the device can run either a legacy mobile OS or the ever more popular Android platform, and it can also be used as a phone. There's definitely room for such a device.